Cosmetic surgical enhancement of breasts aims to restore and modify undesirable breast size and shape as required by individual towards a perceived aesthetic ideal. Changes due to pregnancy, the effects of gravity and ageing can be reversed in most patients and more youthful breasts restored without altering natural appearance or function. Small, sagging or “empty” breast may be enlarged, filled and the shape improved by placing silicone gel implants under the breast tissue or the chest wall muscle. The size of the breast prosthesis and type of operation is decided on at the time of preoperative consultation and depends on patient’s expectations and anatomy. Sagging breasts of adequate size may be lifted and made firmer to improve breast shape and reduce stretched areolas without enlargement. This operation is often requested after pregnancy, breastfeeding or weight loss which leaves the breasts smaller, sagging and flaccid. Breast lift makes patients less bra dependant and improves fitting of underwear and clothing. Some techniques result in less scarring than others and we endeavour to leave the least scarring possible. Large sagging breasts may be reduced in size and made firmer to produce a more proportionate size and improved breast shape. Asymmetrical breasts may be corrected by various operations depending on breast size and extent of asymmetry. Breast implant placement, breast lift or reduction operations are often combined to correct the differences. 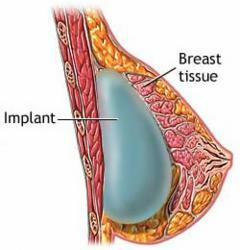 Absence of breasts and absent chest wall muscles may be improved by placing implants or other reconstructive operations. Breast deformities left after various forms of breast cancer surgery may be reconstructed and restored to a natural appearing breast, matching the remaining one. As it is difficult to match a large, droopy or very small opposite breast by breast reconstructive procedures, the opposite breast often requires adjustment as part of the reconstruction as well in order to achieve a natural symmetrical result. Currently most breast reconstruction operations are started at the time of mastectomy if the cancer treatment will allow this. Avenues Is Best Hair Clinic In Ahmedabad With High Tech Infrastructure And Advance Technologies Required For Performing Best Hair Treatments. Doctor At Avenues Is Hair Specialist Doctor In Ahmedabad That Has Many Years Experience In The Field. He Is A Board Certified Doctor With Expertise Knowledge. 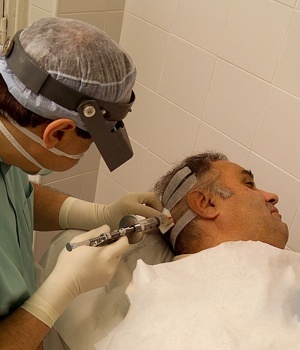 The Hair Transplant Cost In Ahmedabad Is Affordable Such That Any Hair Loss Patients Can Manage It.